NEWS: Spokane will start equipping more of its police with naloxone, a drug that can quickly reverse the effects of opioids. FOOD: Ian Wingate, the local chef who developed the Davenport Grand's Table 13, has left the hotel to start a new restaurant on the west side of the state. Evan Tewel, who used to work with Wingate, is taking the helm. 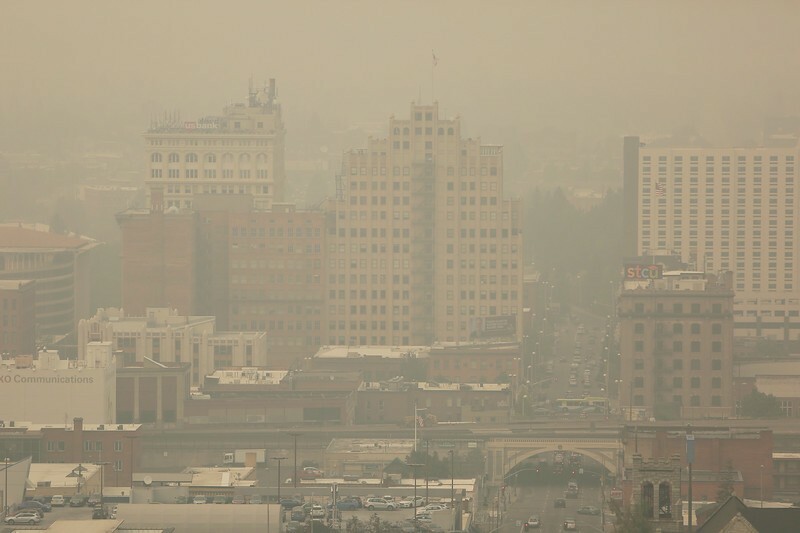 A photo of downtown Spokane enveloped in smoke from wildfires last month. Smoke has filled Spokane, the surrounding region, our lungs, and summer's precious remaining days. How bad is it? The air quality is hovering between "very unhealthy" and "hazardous," which is the worst reading on the scale and comes with a recommendation to do as little outside physical activity as possible. Where is the smoke coming from? Montana and British Columbia, mostly — though wildfires cover the western U.S. Will it improve? Likely not until Thursday or Friday. Another hurricane to hit U.S.
Hurricane Irma is now a Category 5 storm, the strongest hurricane ever recorded outside the Caribbean and the Gulf of Mexico. It's on a collision course with the Virgin Islands, Puerto Rico, Dominican Republic, Haiti, Cuba and the Bahamas, and it's likely to hit somewhere in Florida over the weekend. (Washington Post).